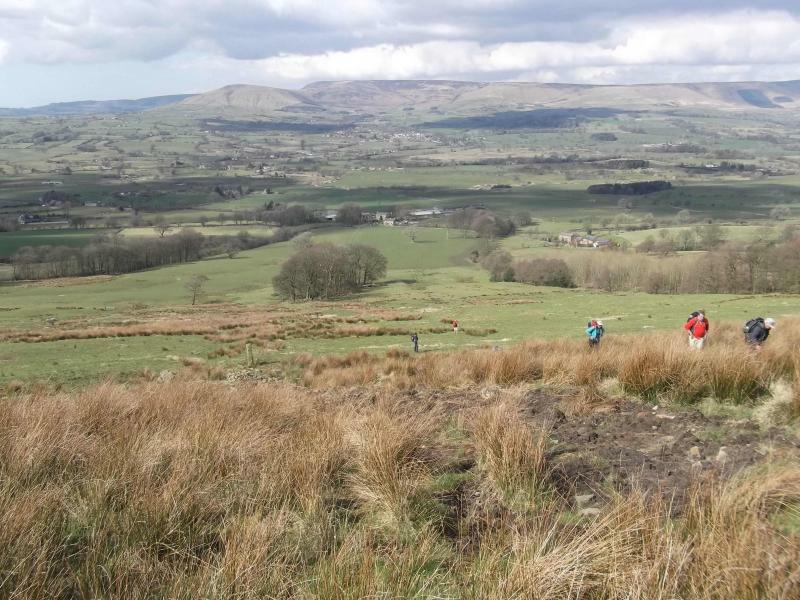 East Lancashire LDWA - Mad March Hare-ing around the Countryside? Mad March Hare-ing around the Countryside? 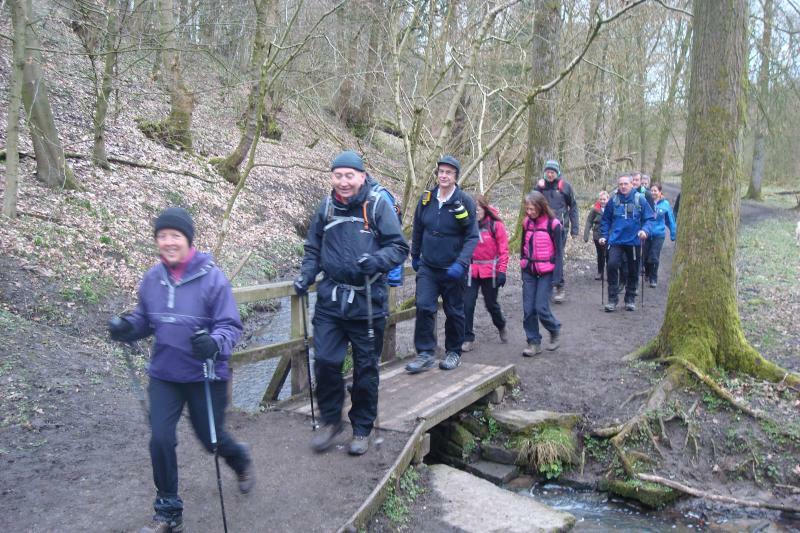 With a forecast of gales and rain it was surprising to see 25 die-hards turn up for the walk. 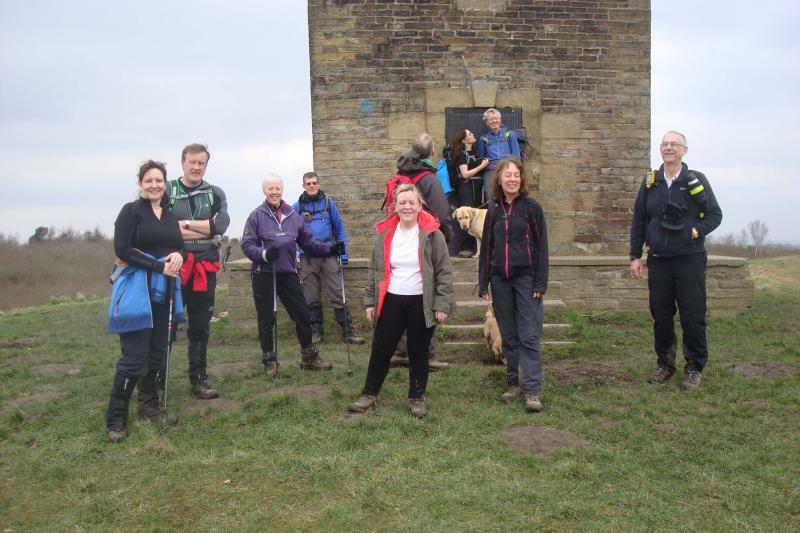 After tea and toast at the sailing club, we headed towards Turton Tower (not one of the towers!! ), waterproofs were rapidly donned. Then came the steady ascent up to Winter Hill, blowing a gale on top and driving rain. 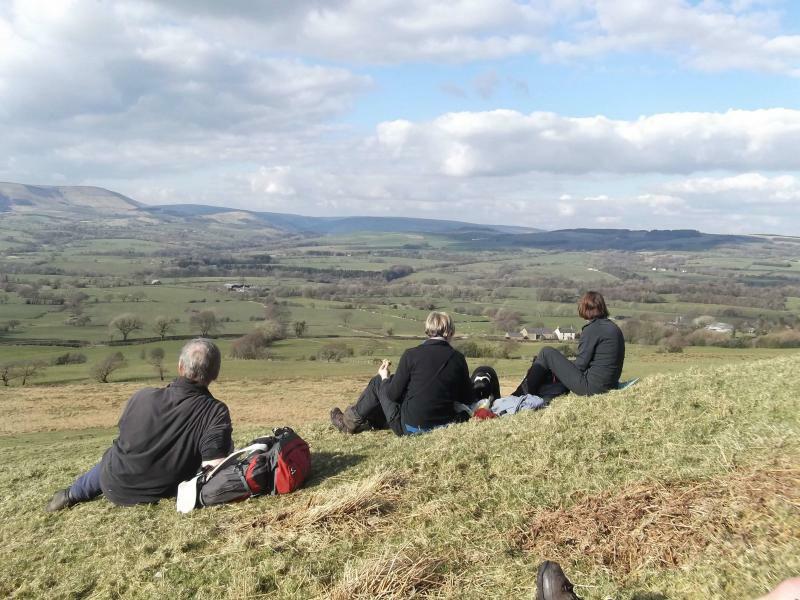 We had a welcome elevenses at the Pigeon Tower and there was a view in the distance. Over Great Hill in the bogs then lunch stop at Tockholes Visitor Centre. It was then a long way round for a very steep ascent up to the second tower, Darwen Tower. Again wind and rain at the top!! 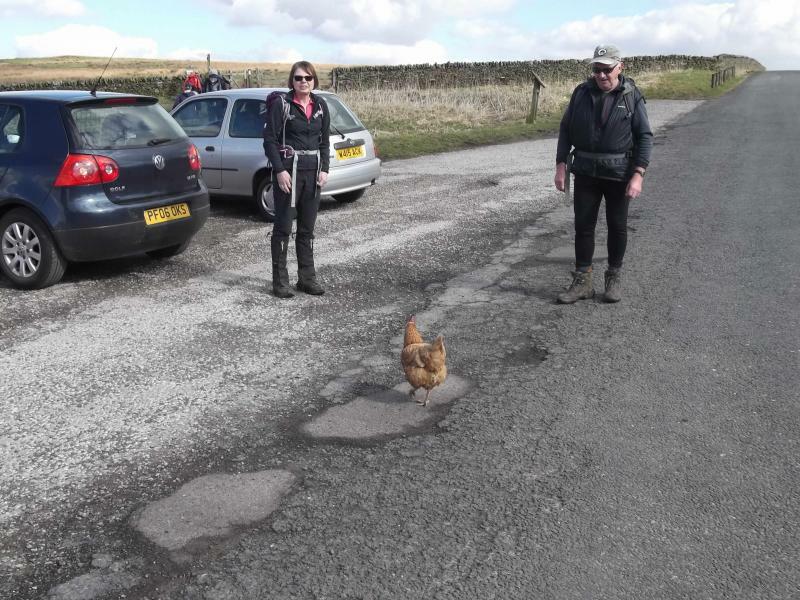 Now we headed to Entwistle rResevoir and the Strawbury Duck for a break. We were doing a good pace with Steve keeping us going. It was now the tail end of the Two Crosses Circuit to get us back up and over Bull Hill to final tower, Peel Tower (no sign of any helicopters today Chris!!). 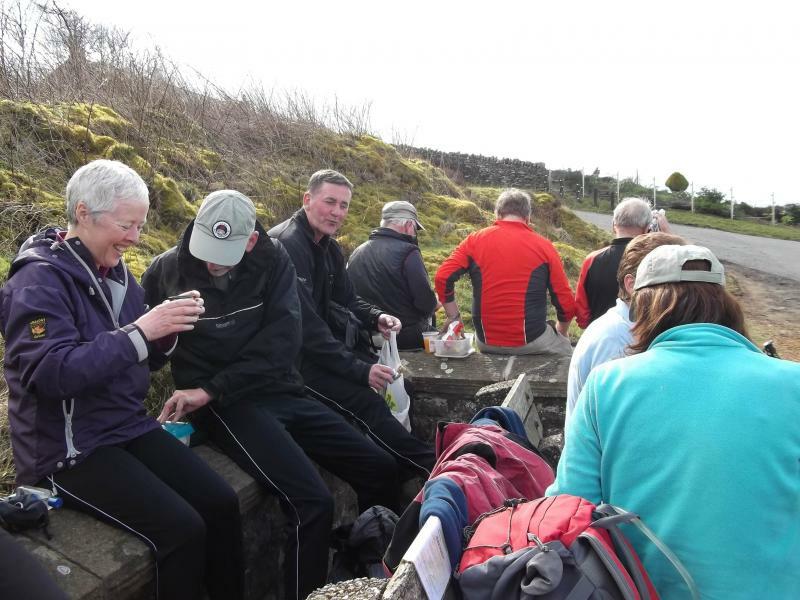 We arrived back at the club at 7.30pm suitably drenched with weary legs, but hot soup, cakes and tea soon cheered everyone up. 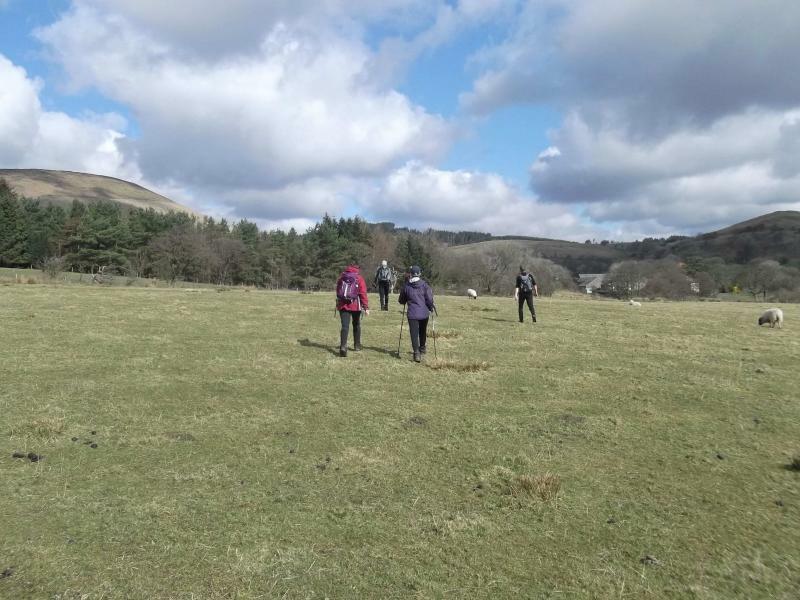 Thanks to Steve Clarke for leading the walk, Julie Spencer for making cakes and being photographer for the day, Chris's wife Linda for cakes and serving soup. 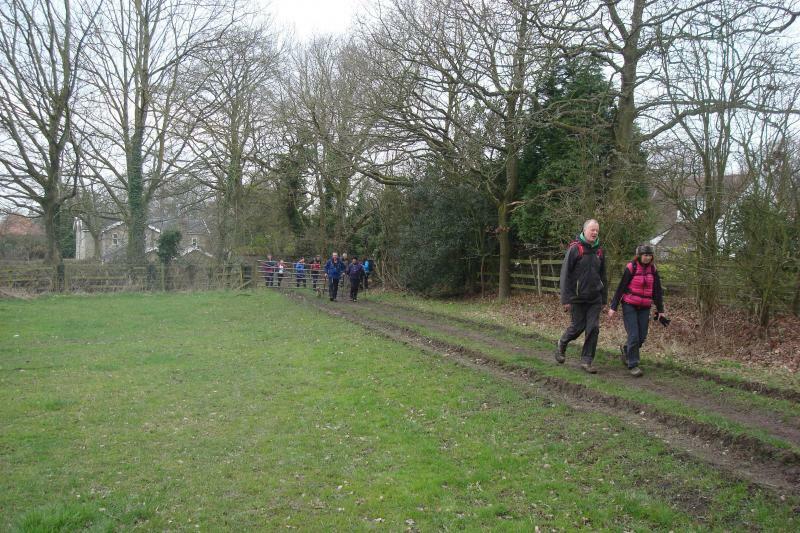 It was a great training walk for everyone. Well done. On a bright and clear day thirteen people and one brave dog set off from Chipping car park. 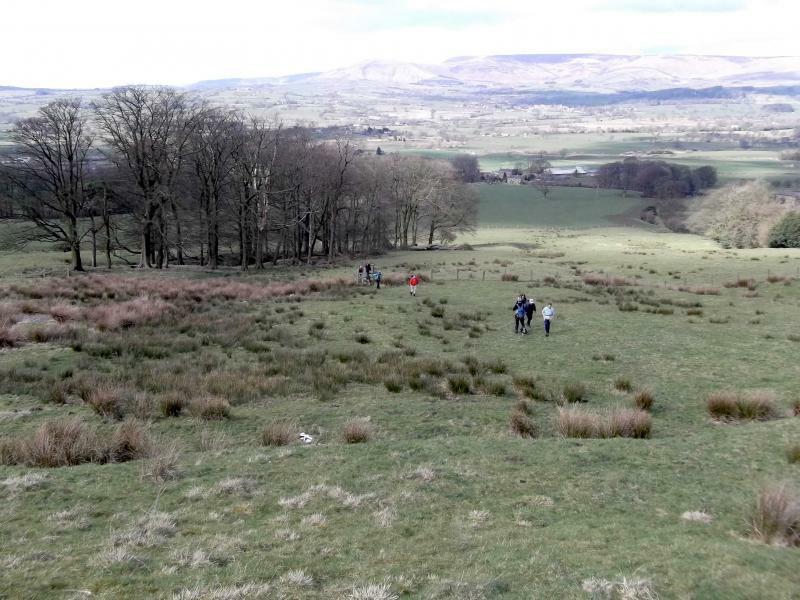 The basic route was out to Drinking Green then returning via Longridge Fell. Turning left in front of the local church, we descended a narrow lane to a small settlement around Berry’s chair factory which is housed in an old cotton mill. On passing an attractive mill pond, we picked up a path on the right and headed across fields to Birchen Lee, then continued, mainly across fields to reach the charming hamlet of Drinking Green, our morning coffee stop. Continuing on the track to Lower Greystoneley and shortly after crossing a stream, we came across a restored limekiln (spotted by eagle-eyed Viv). 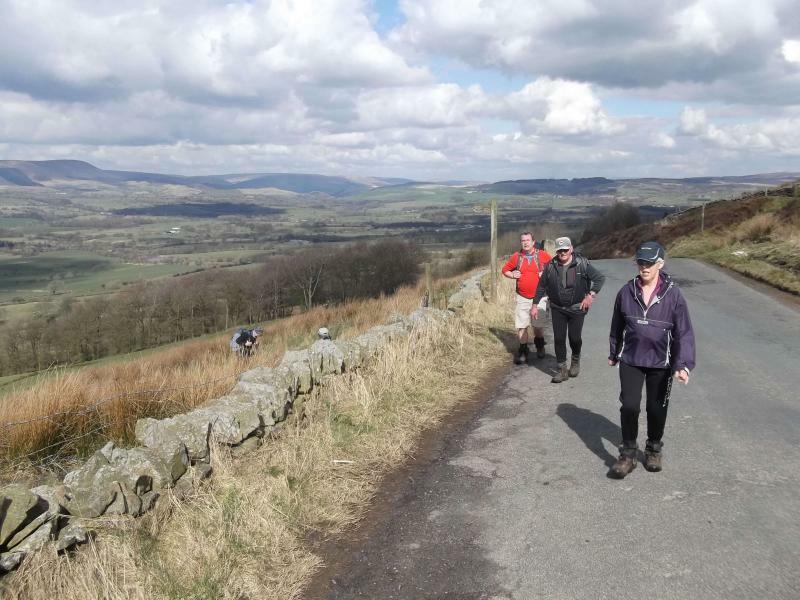 Next we headed up onto Longridge Fell via the very steep Jeffer Hill to be rewarded with our lunch stop whilst enjoying a fantastic view of the Vale of Chipping. Now on the fell, we ascended to the top of Spire Hill. A quick photo and then into the forest, down as far as the Clitheroe road then back up again. 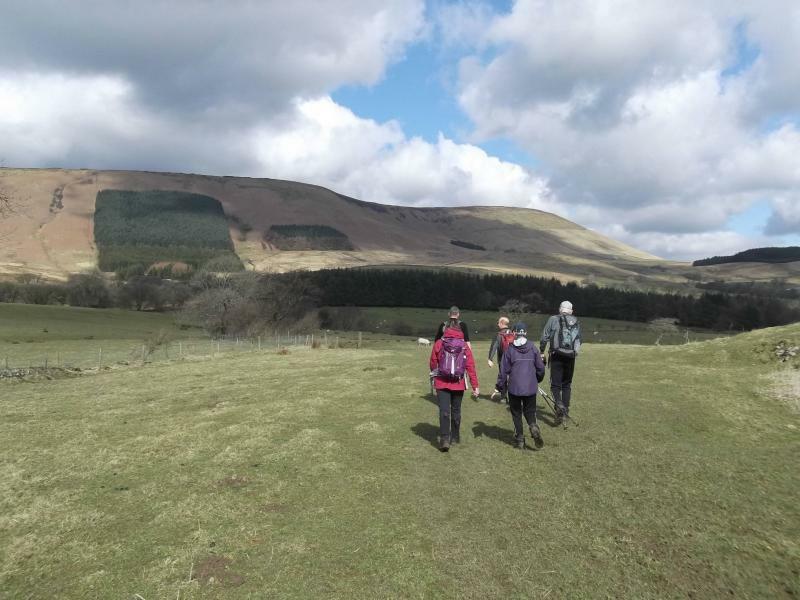 This 14 mile introductory walk was designed for potential new members or indeed anyone that fancied a shorter walk on a Sunday rather than the usual 20 miles or so. 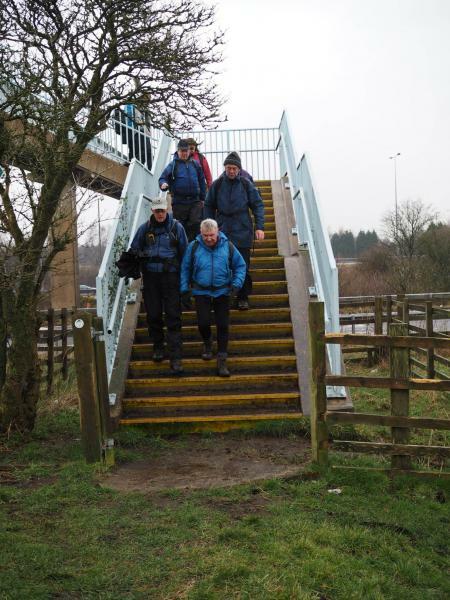 We were asked at the start, will it be muddy, will we need gaiters? The answer was in the affirmative. 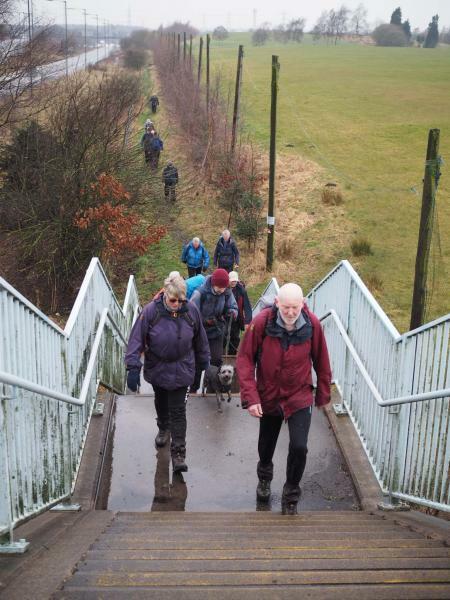 14 of us including one member, Roger, who had travelled from Wrexham, and two dogs set off through Fairy Glen & then across tracks & fields to the village of Appley Bridge. 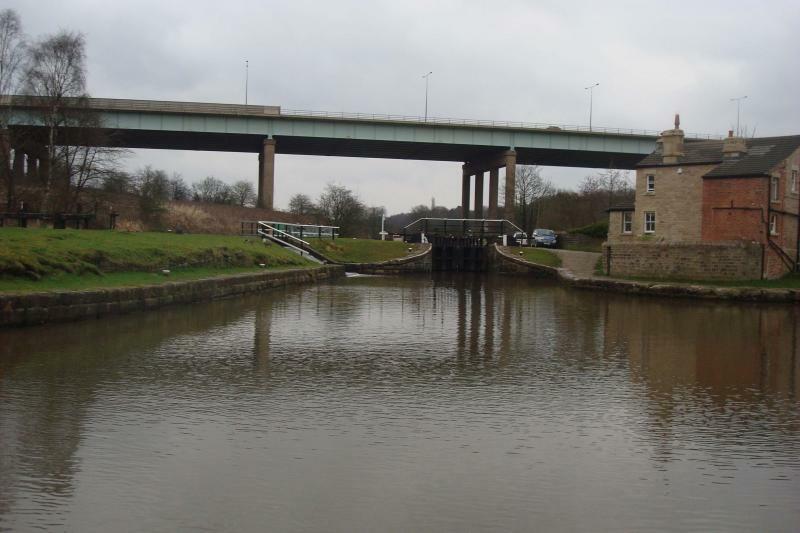 We then picked up the Leeds & Liverpool Canal and followed it east to Gathurst. 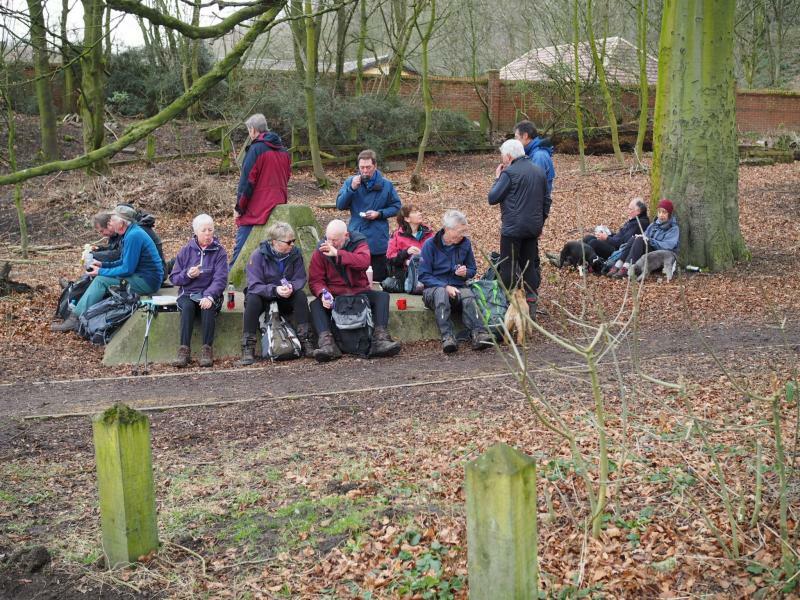 A walk up a muddy track led us to our coffee stop by a pond which we shared with another group of walkers. 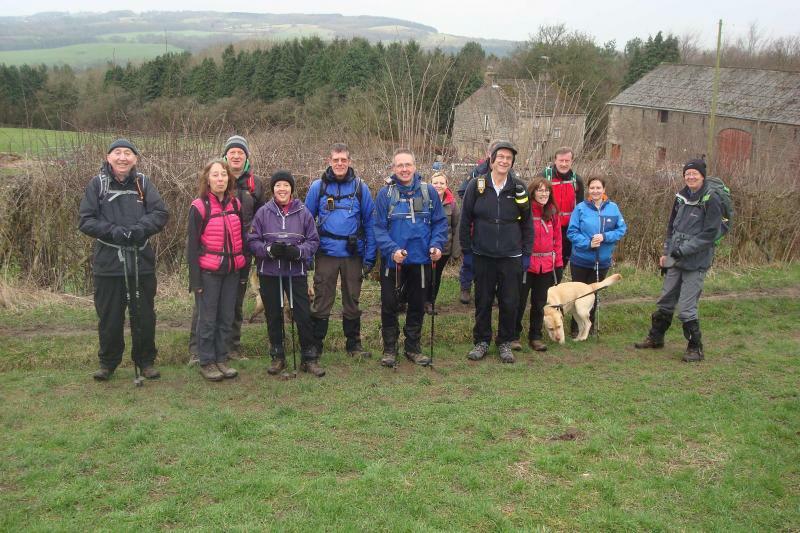 We continued on to Roby Mill and then across an old golf course and onwards to Ashurst Beacon. There were some good views from here but in view of the chilly wind we pressed on and found a sheltered spot for lunch. 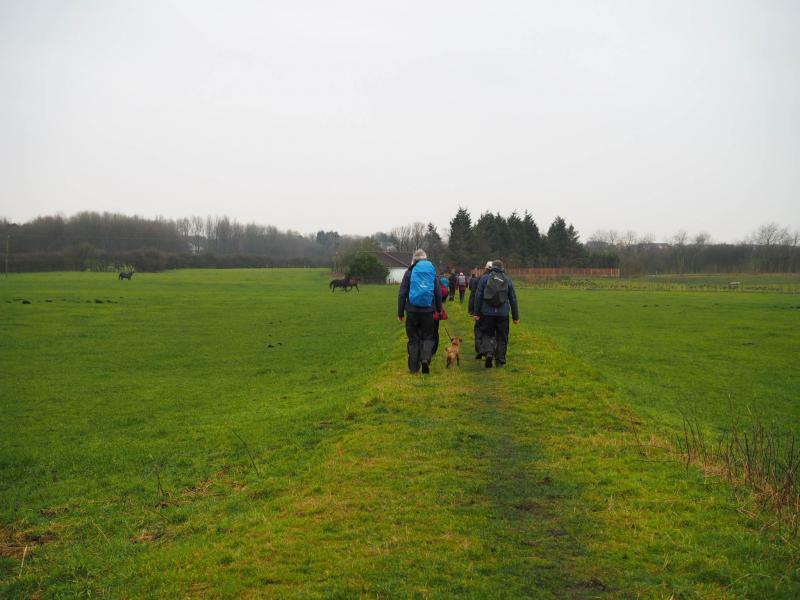 After lunch we continued north west over muddy fields before briefly following the canal again into Parbold. 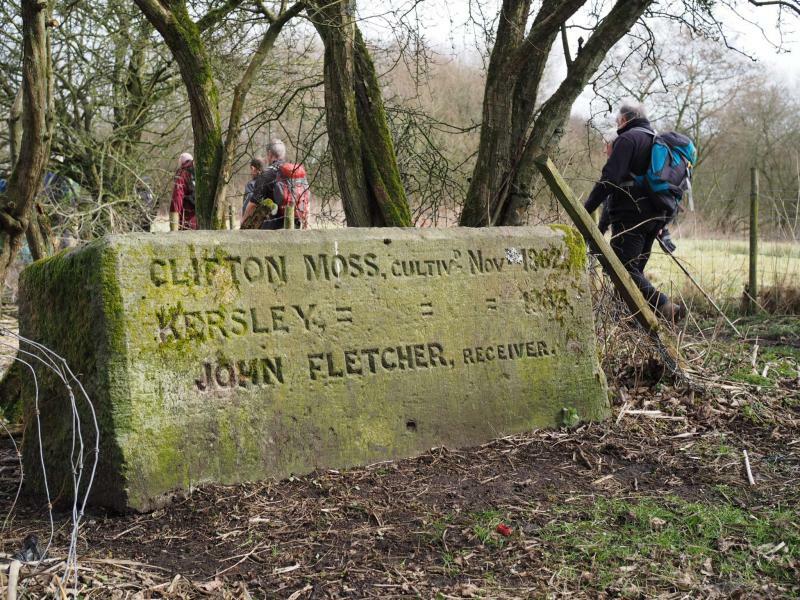 A path over pleasant but again muddy fields led us via a disused quarry to High Moor. 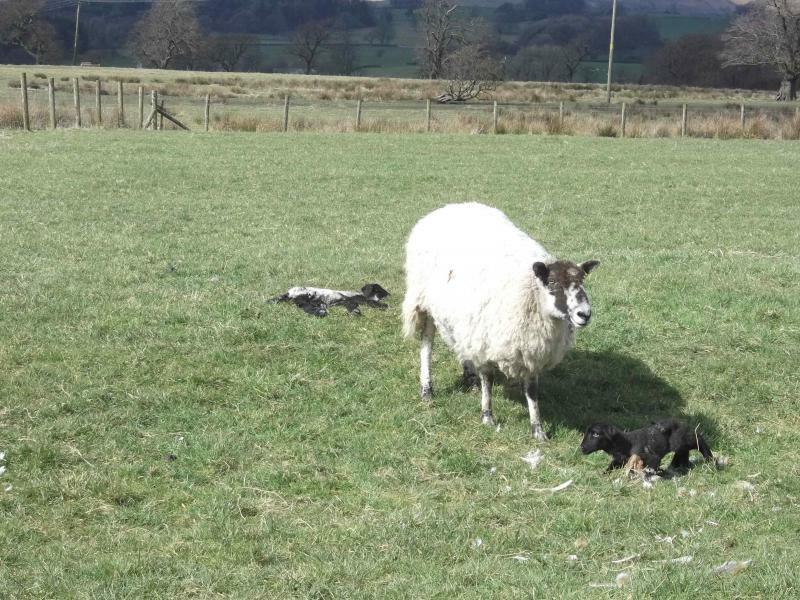 We then dropped down back to the cars via a field full of sheep and their newborn lambs. There was a well positioned stream near the end to clean some of the mud off our boots. 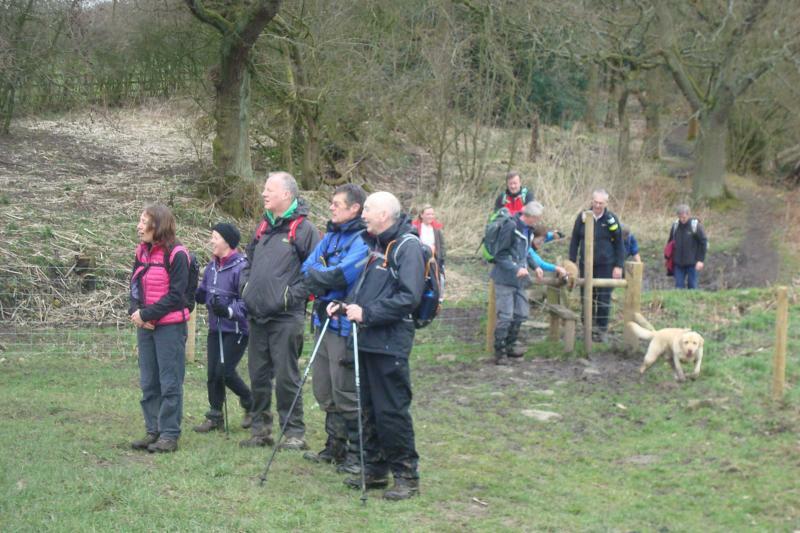 The walk finished at 2:30pm thus allowing people to get home early as it was Mothering Sunday. 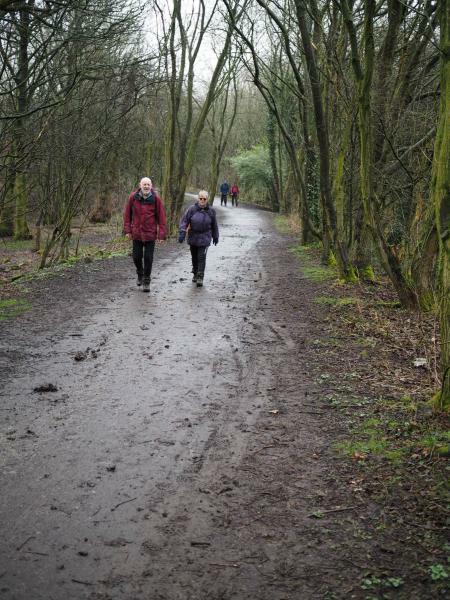 The 3 Parks Walk is a walk which connects three of the Country Parks around the suburbs of Bolton. 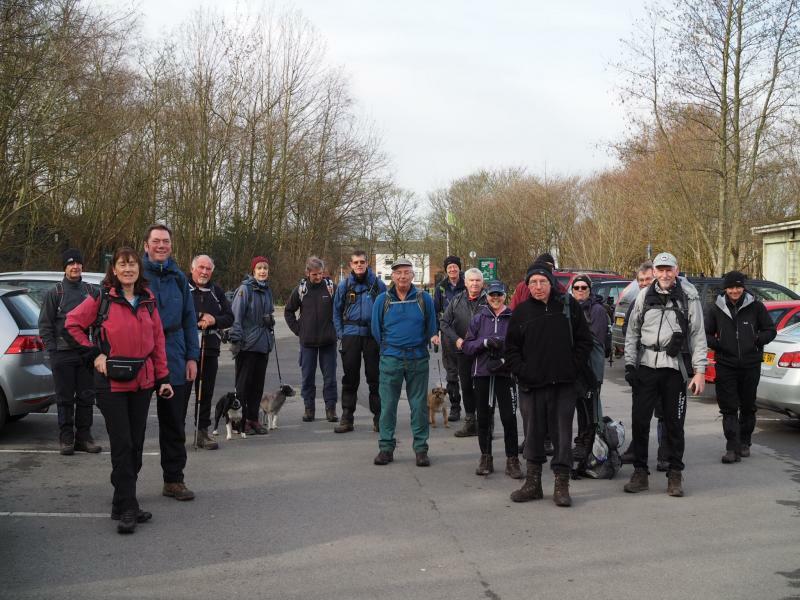 Starting from Blackleach Country Park on a lovely spring like morning, 18 walkers and 3 dogs set off on this 15 mile walk. 4 miles later, and after crossing one of the longest motorway footbridges, spanning 16 lanes of motorway plus hard shoulders, we arrived at Clifton Country Park where we had a longer than usual coffee stop. 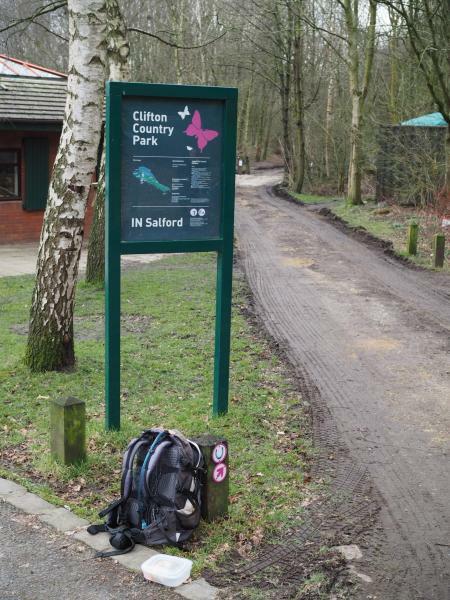 It was another 6 easy miles to Moses Gate Country Park. On the way we passed “Trinity”, a railway engine funnel inscribed with the names of flowers as a memorial to the navies who lost their lives during the construction of the Outwood railway cutting, and then, a little later, one of Ulrich Rückriem’s large stone pieces. This one marks the former railway track and stands 25 feet (7.6 m) high. The stone was split horizontally into several parts and then reassembled into its original form. We had our first shower as we left Clifton, and we had a few more on the way to Moses Gate. Unfortunately it was raining quite heavily when we arrived there for lunch and, true to form it stopped just as we finished lunch! 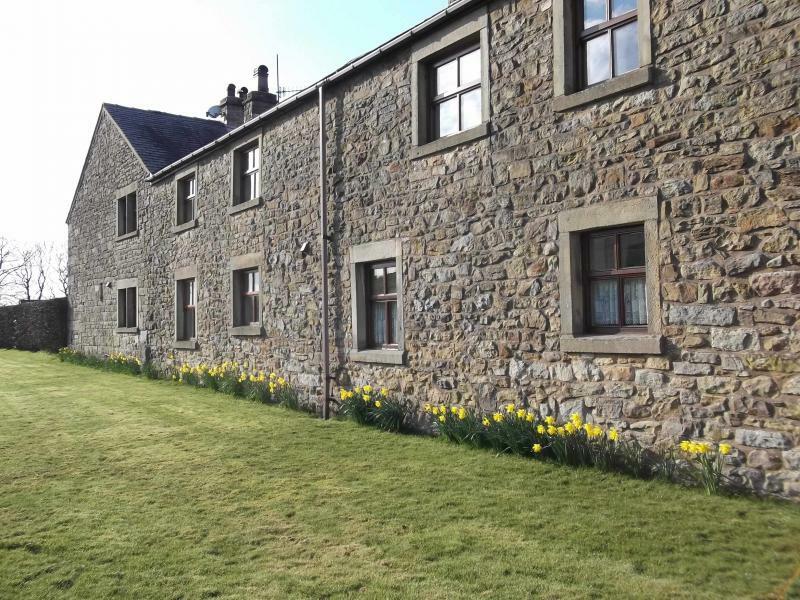 After a walk around one of the Crompton Lodges which were used to supply water to Crompton’s paper mill, we took an undulating path alongside the River Croal before dropping down to cross the new bridge at Clammerclough. After a short stretch on the disused Manchester, Bolton and Bury canal, we were back in suburbia again near Prestolee Mill. 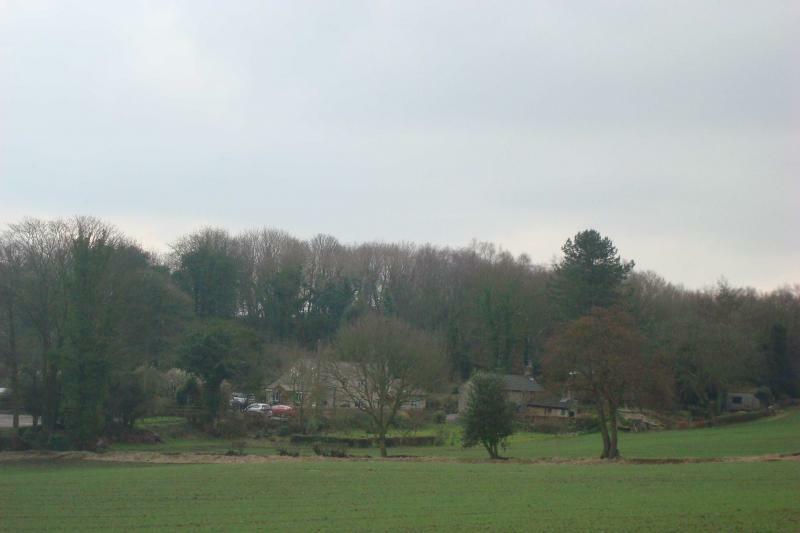 We crossed the A667 and then, after a steady climb up and under the railway, we arrived at Kearsley. 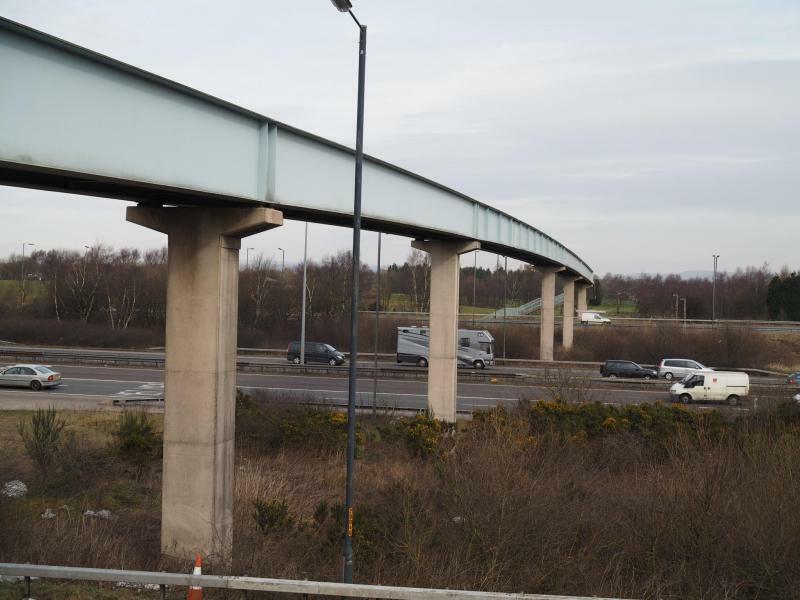 Across the A666 and a short stop by a pond where I was surprised only a few accepted my offer of Tesco’s “value” midget gems, preferring the more upmarket brands of jelly babies etc. 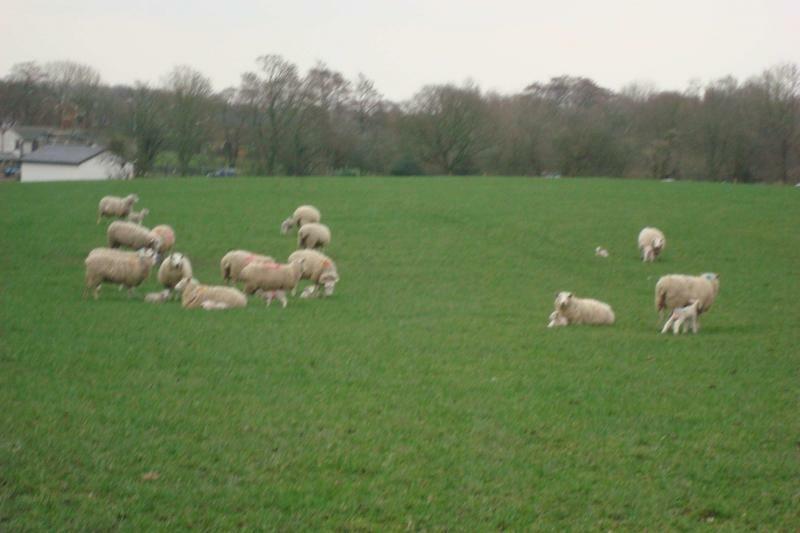 offered by a couple of other walkers! Only a mile and a half to go now and we were soon over the motorway again and back to the car park. Norman (and only Norman) complained about the rain showers and the occasional muddy paths, so I’ll have to try harder next time!! Looking for Mr Darcy, Sunday, March 1st. 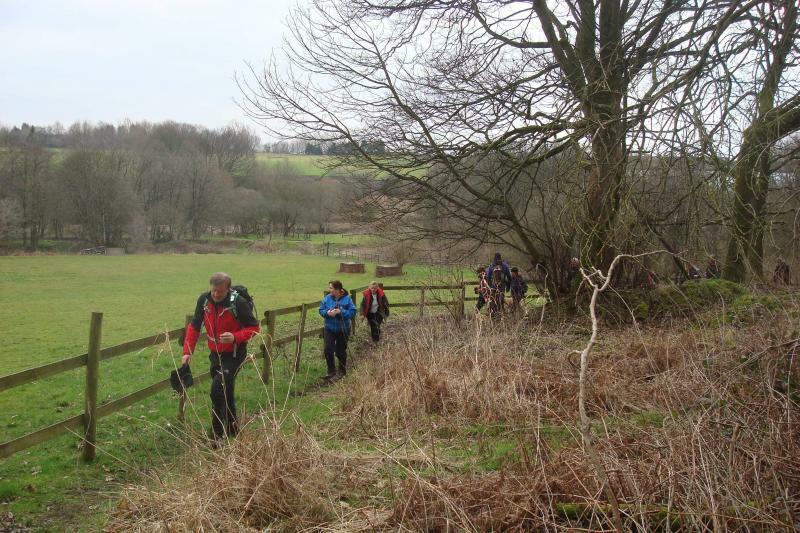 Passing The Cage on our way out, a prominent feature on the top of a hill in the park we were on our way back to pick up the Peak Forest Canal before leaving it again to cross the River Goyt over an old packhorse bridge. It had started to rain shortly before this as we approached an area called the Roman Lakes, a fishing venue and our afternoon café stop, where use of the covered area was taken for waterproofs to be donned. It was then another steady climb to reach the canal again and then descend the 16 Marple locks to the aqueduct and viaduct which both span the River Goyt in the valley below.The aqueduct, which is 200 years old, has just had part of a £2.3m project spent on it in relation to revealing "REVEALING OLDKNOWS LEGACY", referring to Samuel Oldknow, a leading industrialist of the early cotton industry in the 18th century, the first successful maker of British muslin. The 315ft long 3 arched aqueduct was only opened again to the public recently due to the work being carried out, so we were able to pass underneath it to marvel at the construction from below, with a much better appreciation of the structure now the trees have been cut back. 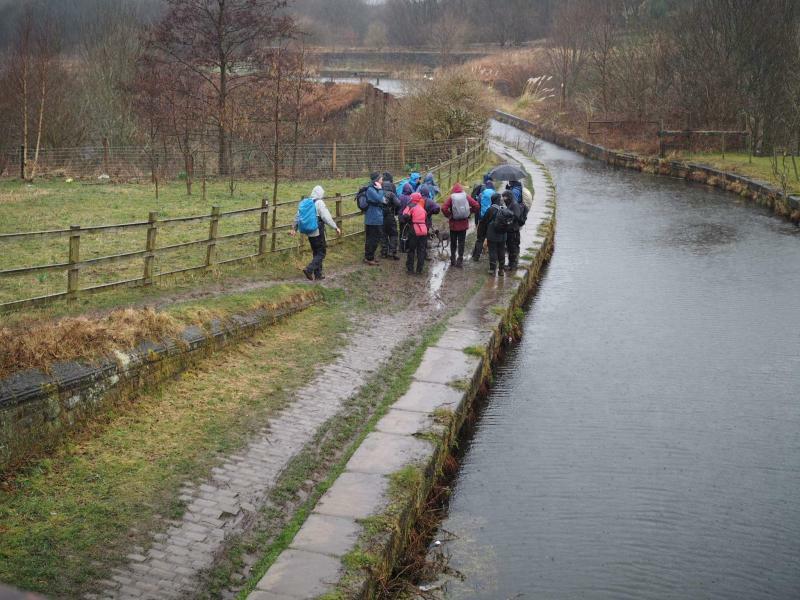 We also passed under the viaduct following the Goyt’s direction before crossing it again to head back through Brabyns Park to the finish at 4pm just before a heavy downpour! 19.2m done.